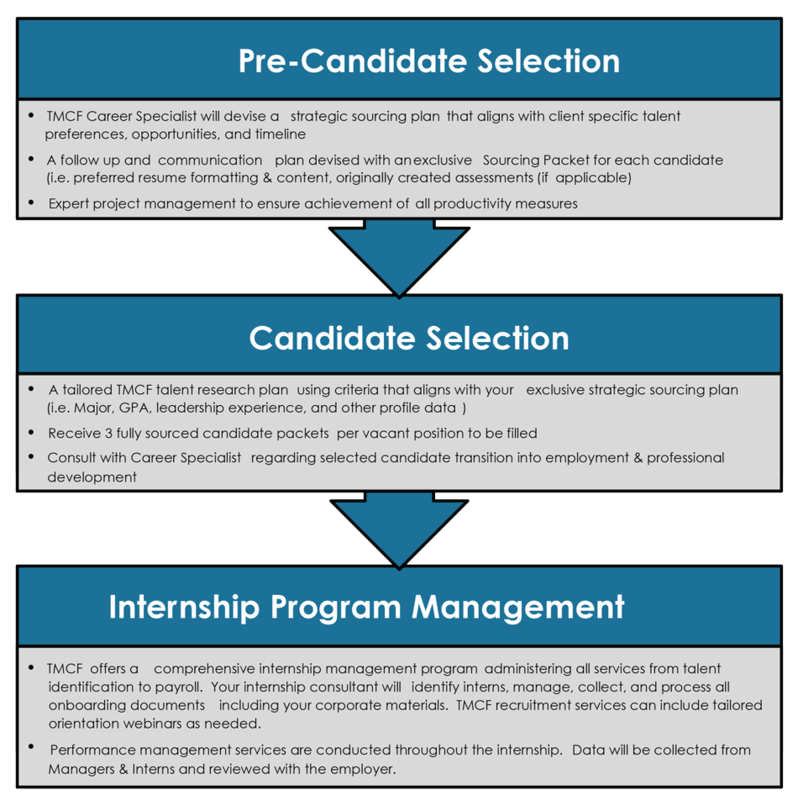 Uniquely, TMCF pinpoints specific candidates who will contribute their assets to employer success. This is accomplished through a highly selective process that vets our students and alumni before presenting them to potential employers. We leverage our strong network of member-schools to provide leads to the best students and alumni. We utilize the latest technology in predictive analytic tools combined with deep industry experience to identify the best talent for your organization. Our recruitment practice ensures that the talent we identify is poised to quickly add value within your organization. We have developed a proprietary framework of competencies by which we coach and evaluate every candidate. This framework ensures that the talent pipeline we deliver demonstrates the leadership qualities necessary to become effective team members and consistent contributors. We are all most effective when we operate in our strengths. Our talent recruitment model administers assessments to determine a candidate’s strengths so that we can make honest evaluations about fit. We know that the better suited a candidate is for a role, the greater chance they will be retained. The long-term success of our candidates and our partners is our ultimate objective.